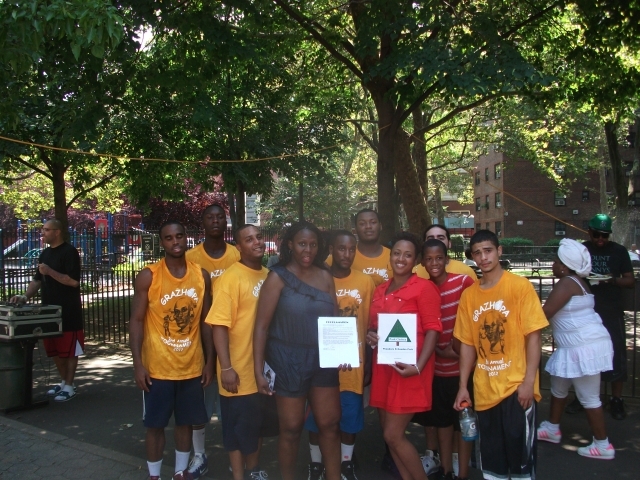 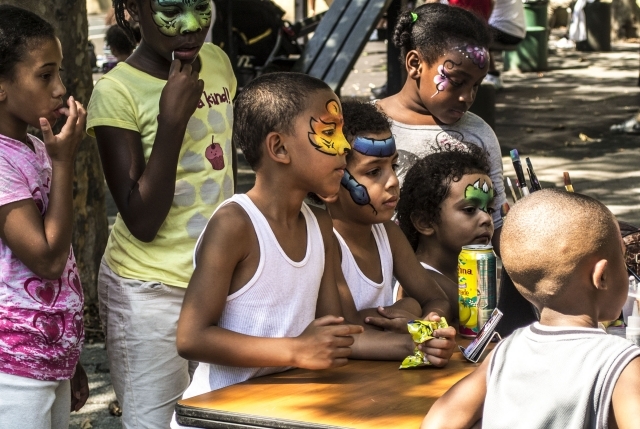 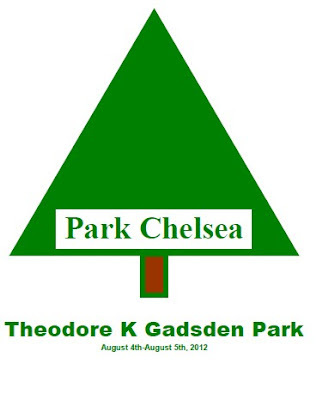 Family and friends at Theodore K. Gadsden Park on August 4th, 2012.
recognizing “Theodore K Gadsden” on August 4th, 2012. WHEREAS, Theodore K. Gadsden, was a world trade center survivor, a well respected community leader and father of 4 who passed away from a heart attack at the tender age of 36. 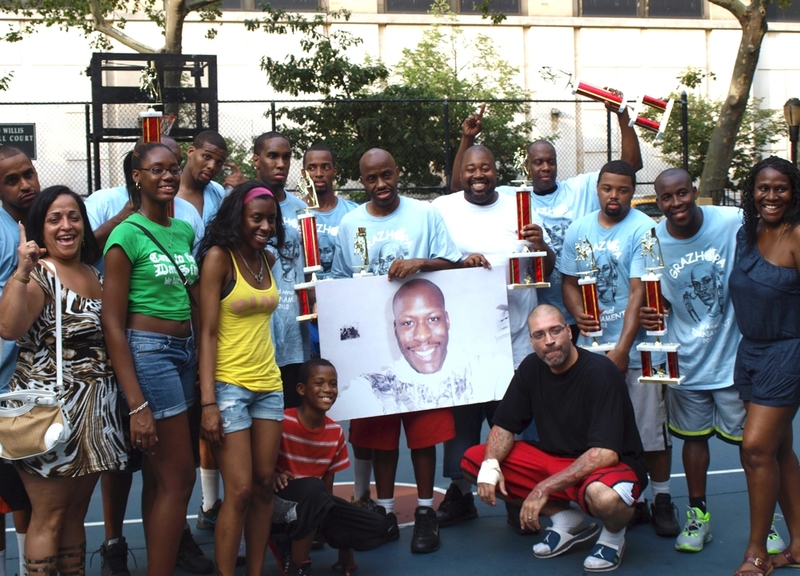 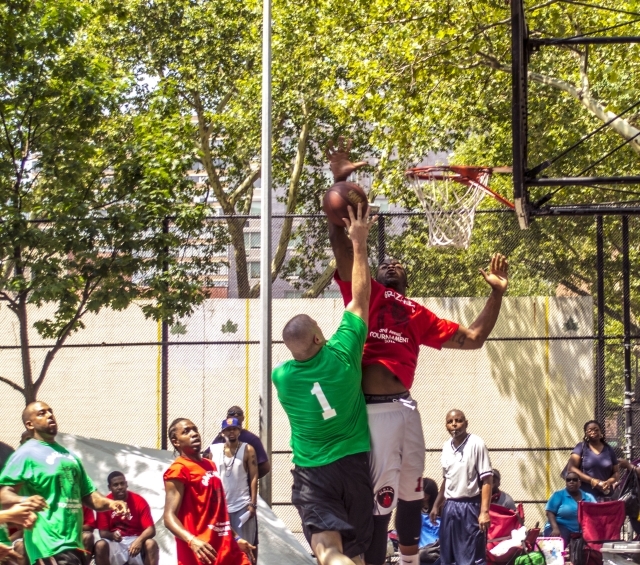 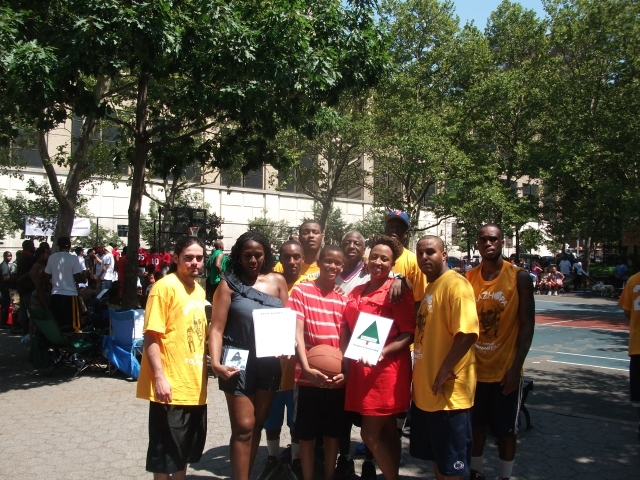 WHEREAS, friends and family have created the Annual Grazhopa Basketball Tournament to honor his loving memory. 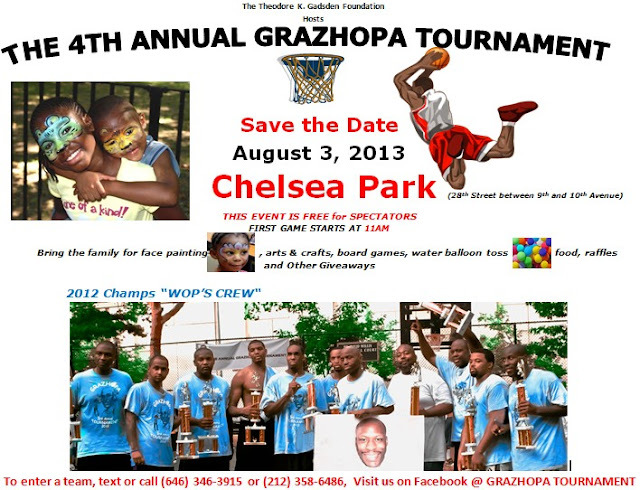 WHERAS, Aug 4th, 2012 is date of the 3rd Annual Grazhopa Tournment. NOW, THEREFORE, BE IT RESOLVED, that ParkChelsea hereby officially recognize The 3rd Annual Grazhopa Tournment to be in the best interest of the citizens of Chelsea and that the site of Park Chelsea's Chelsea Park on 28th St between 8th and 9th Avenue shall be known as Theodore K Gadsden Park from August 4th, 2012 thru August 5th 2012.